Not all color craft is paper and pencil based. You can create color and enjoyment through textiles and yarn too, through knitting and crochet, among other crafts. Crochet and knitting do not have to be only about clothing. 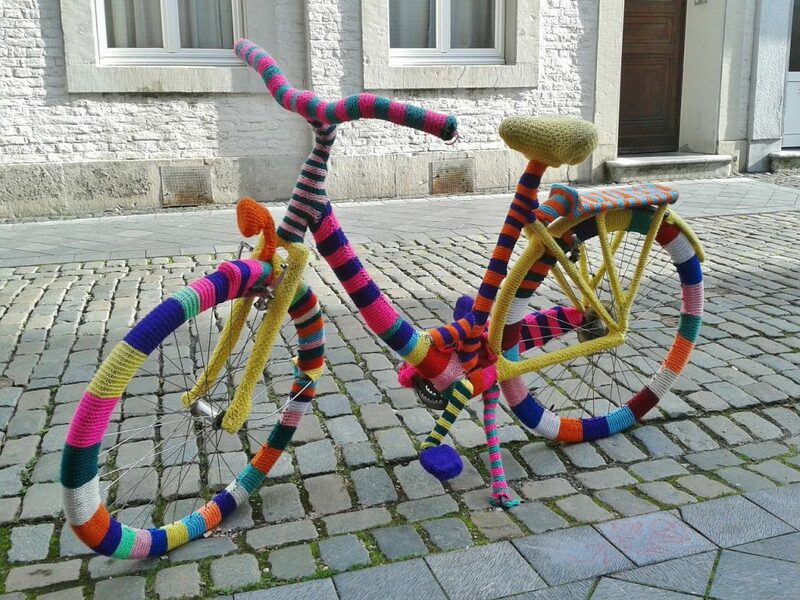 Recent events have included woollen woods, where woodland has been decorated with knitted or crocheted items such as flowers, birds and mythical creatures and some people have knitted covers for bikes and even skeletons! You can find information about woollen woods online with a search. Many of these include prior workshops and help for anyone wanting to contribute a piece of woollen art to the outdoor exhibition. There is a woollen wood in Ireland at the Jubilee wood in Whitehead, County Antrim. This will be the scene of fresh woollen decorations on Saturday 16th June 2018. Some places also have active local communities with groups, workshops and demonstrations available for anyone interested in taking up knitting or crochet. Some of these are friendship groups, set up to help people gain some social contact, others provide knitted and crocheted goods to various charities, such as twiddle mitts for dementia sufferers and tiny clothes for premature babies. Any area with a local shop that sells yarn and wool may be the centre or a link for local groups involved in yarn crafts and may even be involved in yarn and wool festivals.